in teaching climate and energy topics effectively. CLEAN is co-lead by a team from the University of Colorado, Boulder, the Science Education Resource Center at Carleton College and the National Oceanic and Atmospheric Administration. It is critical to prepare tomorrow’s scientists, decision makers, and communities to address the societal impacts of a changing climate. In order to respond to, manage, and adapt to those changes, citizens of all ages need accurate, up-to-date information, knowledge of the sciences, and analytical skills to make responsible decisions and long-term resiliency plans regarding climate and energy topics. The Climate Literacy and Energy Awareness Network (CLEAN) addresses these needs by supporting educators and stakeholders in teaching climate and energy topics effectively. CLEAN has been supported by NOAA since 2012 and the CLEAN content is syndicated to NOAA’s Climate.gov website. The CLEAN Collection is also syndicated to the National Science Teacher Association Learning Center and the Open Educational Resources (OER) Commons collection. CLEAN stewards a collection of climate and energy science educational resources and supports a community of professionals committed to improving climate and energy literacy. 3. 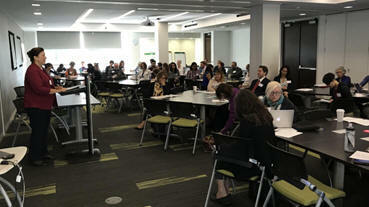 CLEAN Network - a community of professionals committed to improving climate and energy literacy. The CLEAN Collection is an online database of over 700 free, peer-reviewed, and ready-to-use educational resources for teaching about climate and energy topics with middle school, high school, and undergraduate students. The Collection contains learning activities, demonstrations, experiments, visualizations, animations, simulations, and educational videos which can help educators create data-rich and authentic lessons on climate and energy. The variety of the resources allows them to be used flexibly, including in informal science education environments like after school programs and science centers. All materials are aligned with the Next Generation Science Standards (NGSS) and support three-dimensional learning, which requires that students learn science by actively engaging in science and engineering practices and cross-disciplinary concepts to develop an understanding of the content. Customizable searches allow educators to look for resources based on grade level, content, resource type, or NGSS topics. 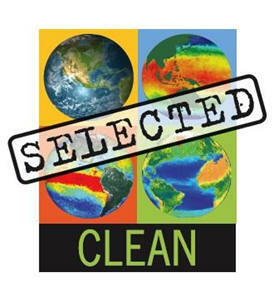 The “Selected by CLEAN” logo highlights educational resource that are part of the CLEAN collection and is being put on the webpages by the developer of resources that are featured in the CLEAN collection. CLEAN, unlike a Google search, provides educators with resources that include both sound science and solid pedagogy. Every item in the CLEAN Collection is rigorously reviewed by teams of educators and scientists to ensure that the resource is of high educational value and that the science in the resource is accurate and up-to-date. The figure below summarizes the multi-step review process. The Collection is widely used by the education community; it now receives over 20,000 monthly website visits during the school year. As of September, visitation in 2018 has seen an increase of over 80% since 2017 and has almost doubled since 2015. The CLEAN portal provides essential knowledge and instructional support for those teaching climate and energy topics. With the CLEAN Educator Toolbox, educators can access background information about the content of the Climate and Energy Principles, guidance in teaching climate and energy topics, and information about accessing the Collection of resources to support their instruction. CLEAN also offers webinars, thematic newsletters, and workshops to help teachers use the Collection and to provide professional development in teaching about climate and energy. CLEAN provides educator support for creating customized lessons using CLEAN resources as building blocks starting with the NGSS performance expectations and the NGSS science and engineering practices. One of CLEAN's goals is to help teachers be as effective as possible when teaching climate science. This series of web pages introduces climate science in a sequence that illustrates different aspects of the climate system. Natural and human influences on climate are presented here, as well as the effects of interactions between parts of Earth's systems. Special emphasis is placed on the methods that scientists use to study the climate and make predictions about future impacts, as this is a topic that is sometimes misunderstood. The overarching Guiding Principle states that humans can take actions to reduce climate change and its impacts, which is a key part of teaching climate science. Taken together, these concepts describe climate literacy. The following set of climate literacy principles provides a framework for teaching the science behind these issues. Each summary links to a more detailed discussion of what makes the topic important, why it can be challenging to teach, and suggestions for grade-level specific teaching strategies and links to relevant teaching materials. CLEAN also features a climate literacy quiz. What is Climate Science Literacy? Guiding Principle: Humans can take action. Ø 1: The sun is the primary source of energy for Earth’s climate system. Ø 2: Climate is regulated by complex interactions among components of the Earth system. Ø 3: Life on Earth depends on, is shaped by, and affects climate. Ø 4: Climate varies over space and time through both natural and man-made processes. Ø 5: Our understanding of the climate system is improved through observations, theoretical studies, and modeling. Ø 6: Human activities are impacting the climate system. Ø 7: Climate change will have consequences for the Earth system and human lives. 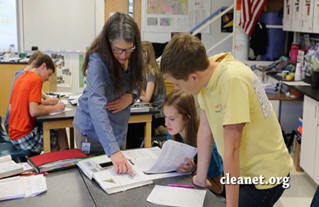 CLEAN is the content provider for NOAA’s climate.gov/teaching climate portal. CLEAN is the umbrella organization for many stakeholders and partners in climate education and climate literacy. Many of the CLEAN partners are engaged in Youth Climate Engagement. Energy is a paradox: it brings us light, warmth, security, and mobility. But on the other hand, energy extraction, burning of fossil fuels, and the unequal distribution of energy resources have wrought environmental and social problems for humanity. Energy use is at the root of climate change and many other issues, and we are seeing the beginnings of a global shift in energy sources and energy policy toward more cooperative, sustainable use of energy. The topics around energy are relevant in all science disciplines as well as in engineering, policy, social science, and economics. 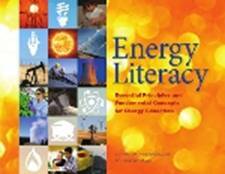 CLEAN also features an energy literacy quiz. Each concept listed below links to a more detailed description of the topic, a discussion of what makes the topic important, ways to bring it into your classroom, suggestions for grade-level specific teaching strategies, and links to relevant teaching materials. Ø 1. Energy is a physical quantity that follows precise natural laws. Ø 2. Physical processes on Earth are the result of energy flow through the Earth system. Ø 3. Biological processes depend on energy flow through the Earth system..
Ø 4. Various sources of energy can be used to power human activities, and often this energy must be transferred from source to destination. Ø 5. Energy decisions are influenced by economic, political, environmental, and social factors. Ø 6. The amount of energy used by human society depends on many factors. Ø 7. The quality of life of individuals and societies is affected by energy choices. The CLEAN Network is a professionally diverse community of over 650 members committed to improving climate and energy literacy (locally, regionally, nationally, and globally) in order to enable responsible decisions and actions. The CLEAN Network has been a dynamic group since 2008, hosting a weekly teleconference every Tuesday. During this teleconference, members collaborate and share information about their literacy work, upcoming events, and opportunities for collaboration or funding. CLEAN Network members regularly support each other in their climate education efforts. Frequent guest speakers present on their climate and energy literacy work and related topics. The group communicates through a vibrant email list, with over 80 posts per month discussing relevant topics, conferences, opportunities, and much more. The CLEAN Network also provides professional development, networking, and collaborative opportunities at conferences and events, including many education and geoscience conferences and global climate summits. The Network has many partners throughout the formal and informal science education fields. Many educators are part of the Network and have shared their experiences teaching climate and energy topics in their classrooms during the weekly teleconferences or within discussions on the email list. The Network is always looking for more speakers, so if you or someone you know is interested in sharing their experiences, please join the Network! 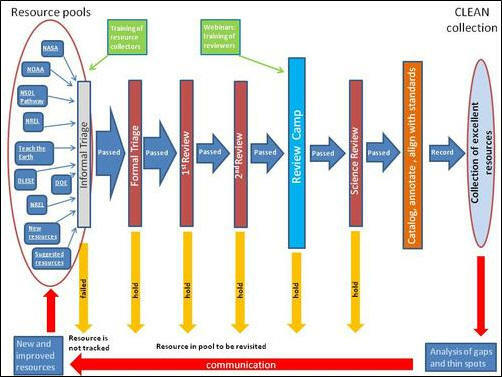 The Earth Science Information Partners (ESIP) provide the infrastructure for the CLEAN Network weekly calls; ESIP fellows help organize and run the weekly meetings. The CLEAN portal reaches many educators and climate and energy education stakeholders each month; in 2018, the site has had an average of 20,000 monthly sessions. Syndication through the NOAA, NSTA, and OER Commons websites has extended the availability of the CLEAN collection even farther. Webinars, newsletters, presentations at professional meetings, and discussions on the CLEAN email list further increase CLEAN’s reach. CLEAN has considered and triaged over 25,000 educational resources, resulting in a Collection of 700+ highly-vetted educational resources. CLEAN has also developed guidelines for best practices in the development of educational resources. CLEAN conducts regular gap analyses that show gaps and thin spots in the Collection’s resources in order to inspire targeted resource development that can eventually enhance the Collection. 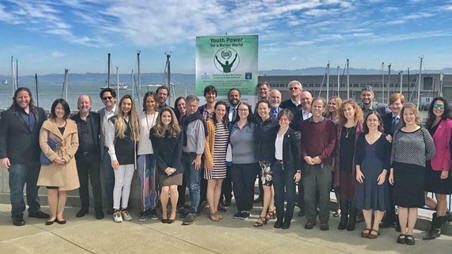 The CLEAN Network provides the structure to increase the collective impact of climate and energy education through its members’ connections to many organizations and groups across the country and around the world. The Network provides a mechanism for members to learn from the experience and expertise of others and supports opportunities for collaboration among members to enhance the effectiveness of their work. Membership in the CLEAN Network is free and open to anyone (join the Network). The CLEAN Collection and associated Teaching Guidance materials are being maintained with ongoing funding from NOAA. They are freely available to any organization or group that wants to feature them on their web pages—through syndication, through links to CLEAN resources or subsets of the Collection, or through the use of the CLEAN widget. The CLEAN team also offers custom webinars about different topics for free. Organizations and groups who are interested in exploring collaborations should contact CLEAN.